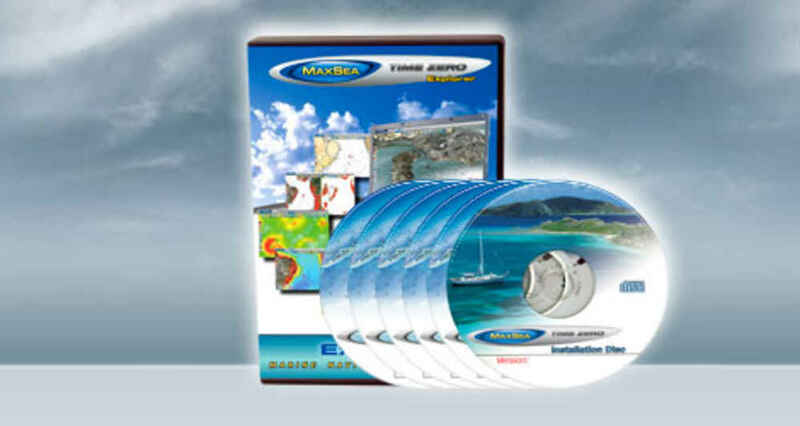 MaxSea TimeZero™ advances PC Chart Plotting to the next level, allowing you to navigate in ways never before possible. 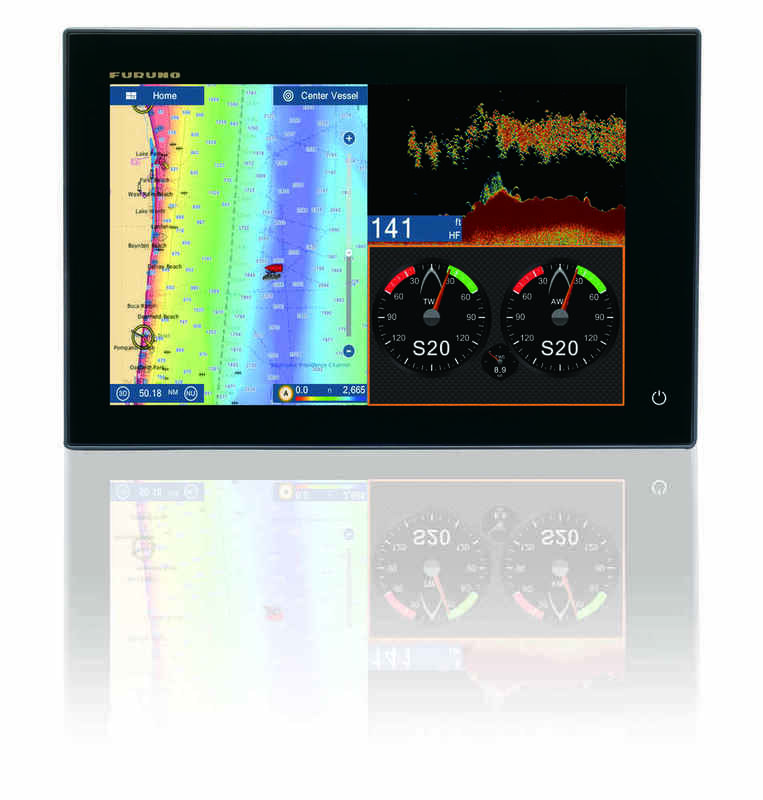 An all-new graphics engine, updated tool sets and included raster and vector charts for the entire U.S. coastline make MaxSea Time Zero™ the most powerful PC navigation package you can own. J Gordon & Co is the only authorized Furuno dealer in the Annapolis area for sales, service and warranty for commercial or receational systems. Call us today for a quote for a new installation or for an upgrade of your older electronics. 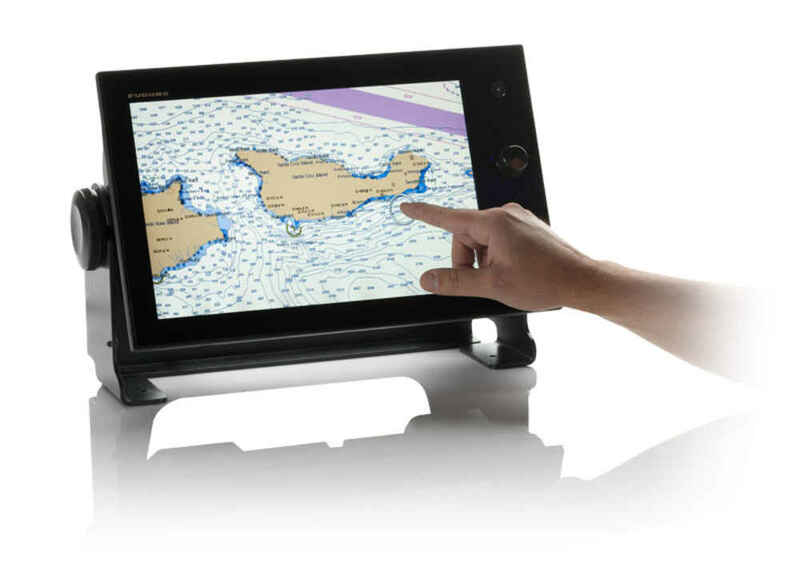 Come in and try our NavNet TZT display and see how amazing it is. Available in 9" and 14"
Our professionally designed FI70 instrument series is designed to meet the needs of sail boaters and power boaters alike. 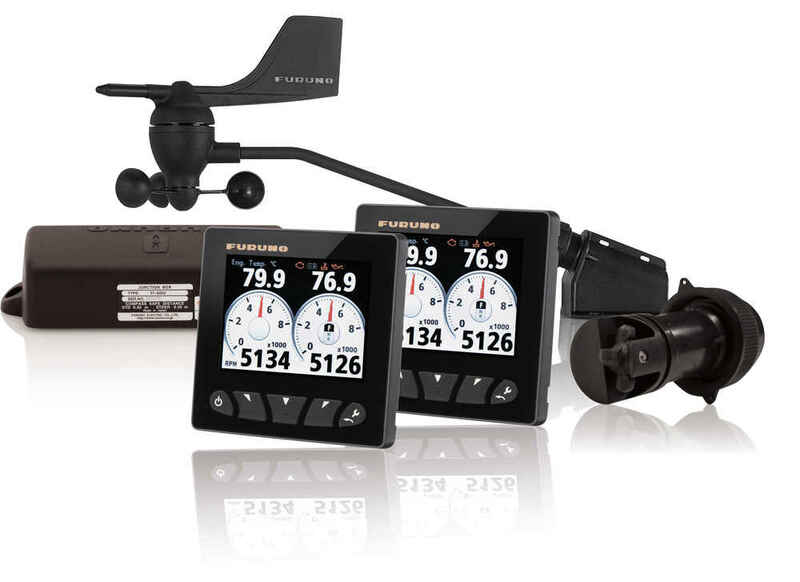 The FI70DSW package offers a solution to boaters looking for an economical solution to display wind speed and direction, vessel speed through water, water depth and water temperature, as well as providing an excellent NMEA2000 backbone for future expandability. 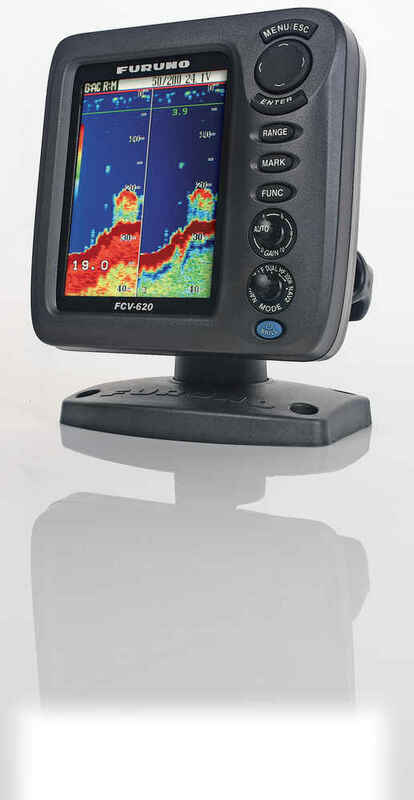 You’ve probably heard about digital fish finders, but aren’t quite sure what the difference is. The main difference is the filtering capabilities and auto adjustments. Our new FDF (Furuno Digital Filter) technology helps adjust gain, STC “Clutter” and output power, as well as suppress main bang (the echoes just below the transducer.) It also makes the picture clearer and easier to decipher. 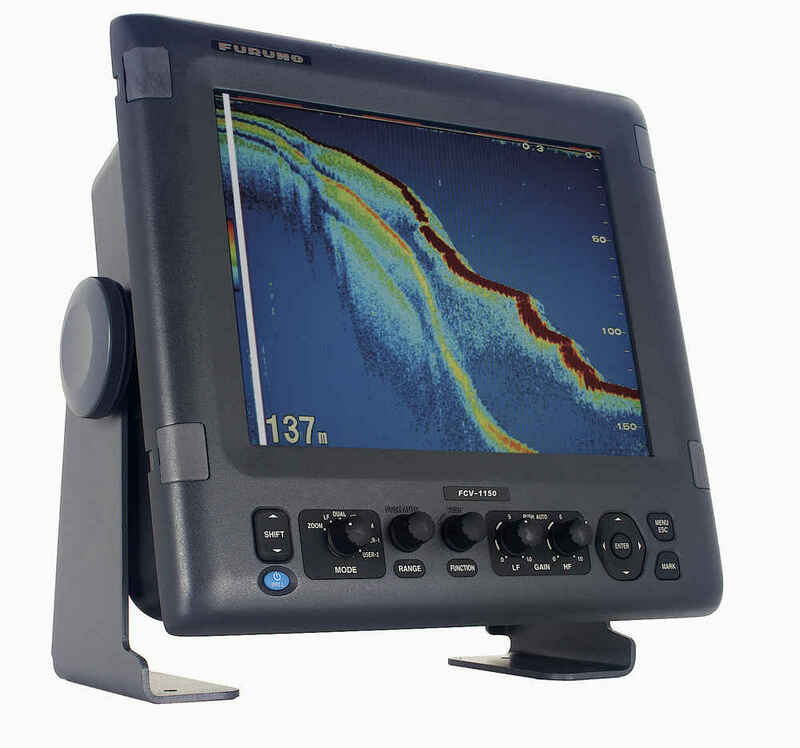 But even the best digital filter won’t help unless you start with a solid basis, such as Furuno’s renowned fish finder technology. 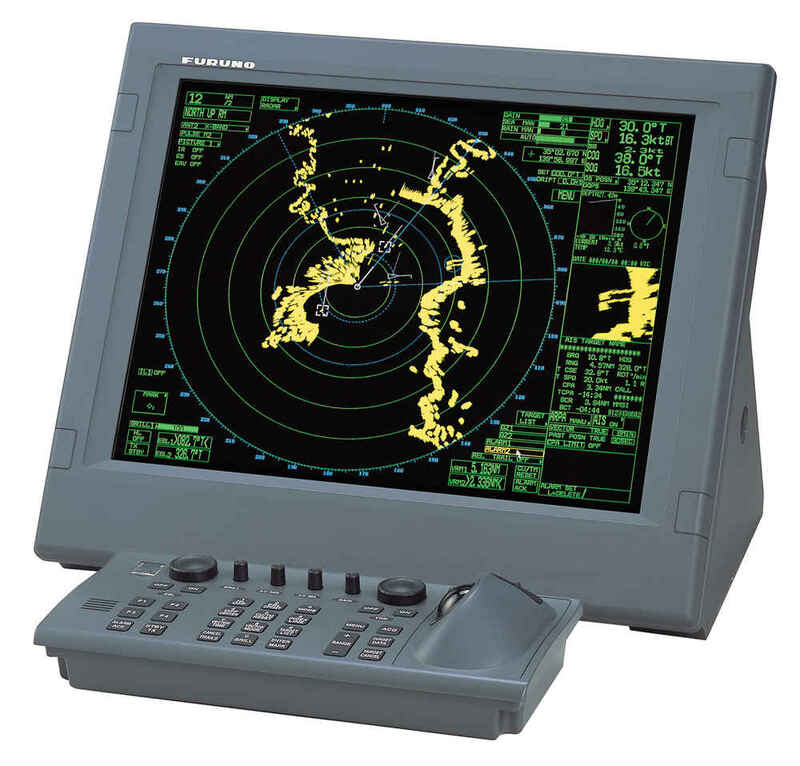 The FA150 is a shipborne Universal AIS (Automatic Identification System) Transponder capable of exchanging navigation and ship data between own ship and other ships or coastal stations. 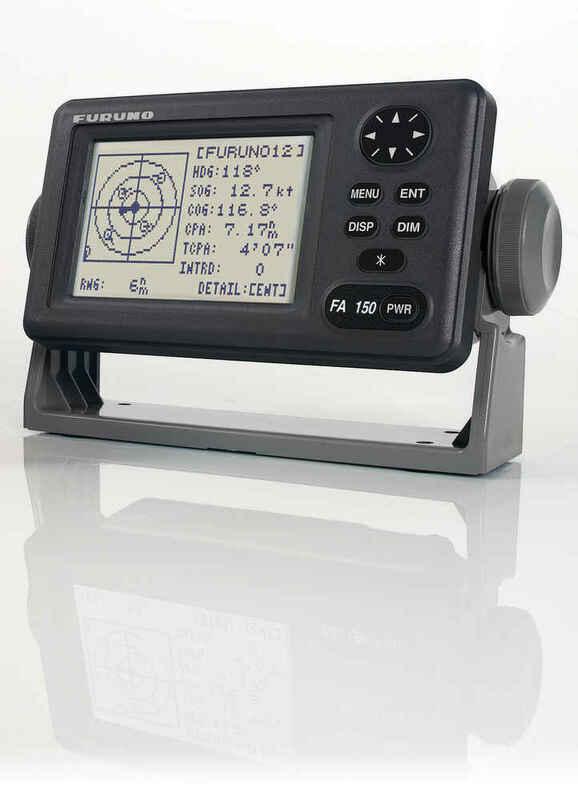 The FA150 consists of a transponder unit and a compact display unit with 4.5" Silver Bright Display. The revolutionary FAR-28x7S series of S-band radars are the result of FURUNO's 50 years experience in marine electronics and advanced computer technology. This series of equipment is designed to meet the exacting standards of the International Maritime Organization (IMO) for ships of 10,000 GT and above. Target detection is enhanced by sophisticated signal processing techniques such as multi-level quantization (MLQ), echo stretch, echo average, and radar interference rejecter. Two guard zones can be set at required ranges in any sector. Other ship's movements are assessed by advanced target tracking software and alerted by CPA/TCPA data readouts. The FAR-28x7S series provide ARPA and AIS (transponder unit is required) function as a standard. A variety of radar antenna is selectable, from 10' or 12'. The S-band radar assures target detection in adverse weather where X-band radar are heavily affected by sea or rain clutter. The BR500PA Pilothouse Alerter System, designed with tug operators in mind, detects when a master or a mate becomes incapacitated. This "dead man alarm" is a specialty Bridge Navigation Watch Alarm System, or BNWAS. The BR500PA consists of the BR500 Main Panel, BR530 Timer Reset Panel, two BR540 Cabin Alarm Panels, and a BR560 Motion Detector. 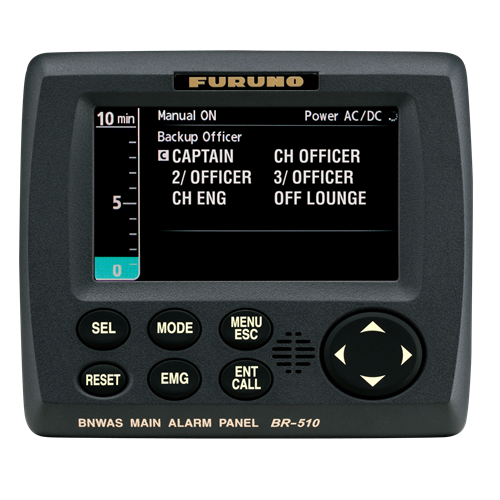 The Furuno BR500 BNWAS monitors the operator's presence through watch safety system functions. An operator is required to press the button on a Timer Reset Panel or to operate navigation equipment at certain preset intervals. 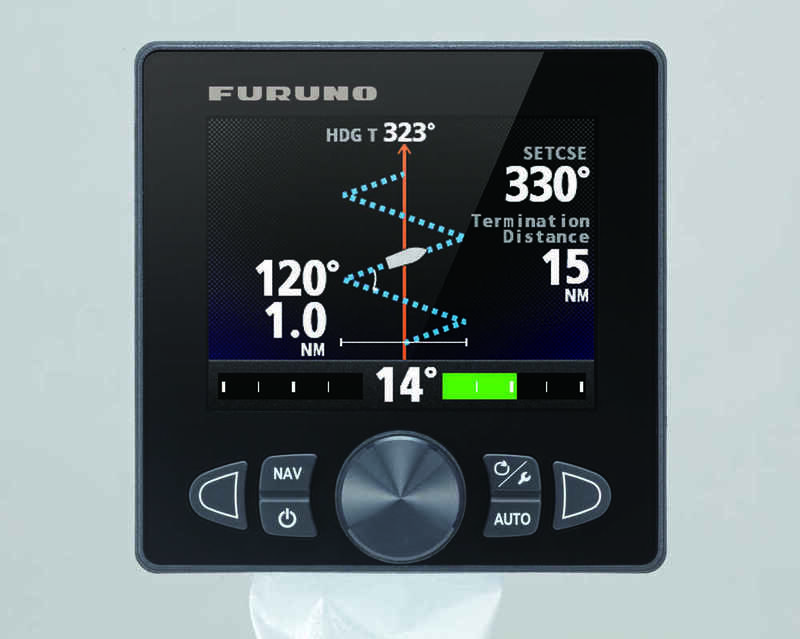 If the operator fails to press the button, operate connected equipment or trigger optional motion sensors within preset intervals, visual and audible alarms will be generated in the wheelhouse. If an operator doesn't respond to the alarm, the BR500 transfers the alarm to the Cabin Panels installed in other sections of the vessel in order to inform crew of the operator's incapacity.